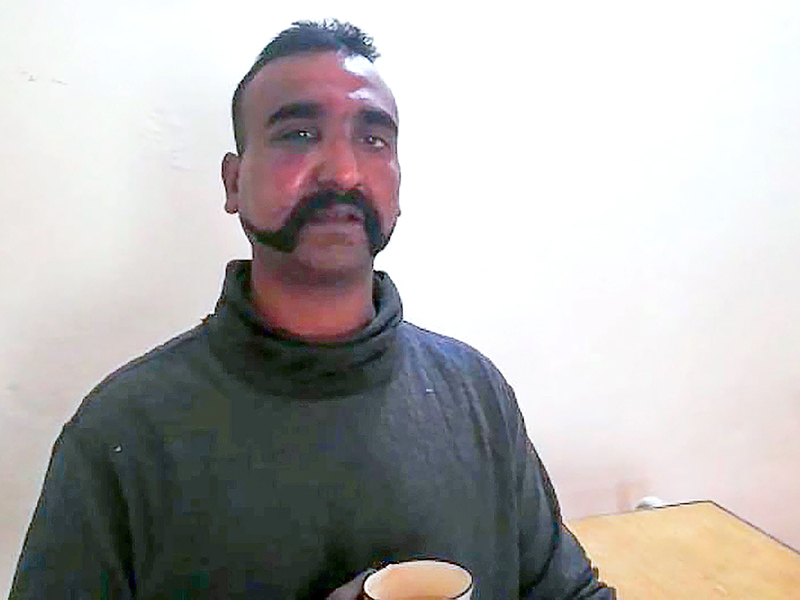 New Delhi/Islamabad: As Asia’s most acrimonious rivals face off, the fate of a captured Indian Air Force pilot may hold the key to whether - and how - each side is able to step back from broader conflict. India and Pakistan, which have fought three major wars since the partition of 1947, regularly exchange artillery and small-weapons fire across a disputed border. But the situation which flared up earlier this month escalated dramatically into Wednesday, with the loss of an Indian MiG 21 fighter jet and the pilot later paraded on Pakistani television. While the US, Russia and China are all calling for calm, domestic political factors make it far from easy for either side in the conflict to back down. India’s Prime Minister Narendra Modi must contest a general election within weeks, while his counterpart, Imran Khan, faces a military that is seeking to assert its dominance at a time when Pakistan is in the eye of a financial and economic storm. The full political fallout of the exchanges remains unclear, but it is evident that the capture of a pilot “complicates matters and will heighten tensions,” said Sandeep Shastri, a political scientist and Pro Vice-Chancellor at Jain University in Bangalore. Neither country can afford a full-blown conflict, yet neither leader can afford to look weak - all the more so with their respective publics whipped into a nationalist frenzy. India summoned the acting high commissioner of Pakistan and demanded immediate and safe return of an IAF pilot who was detained by Pakistan following an aerial engagement by air forces of the two countries. India acknowledged one of its air force planes was “lost” in skirmishes with Pakistan on a chaotic day, which also saw mortar shells fired by Indian troops from across the frontier dividing the two sectors of Kashmir kill six civilians and wound several others. A helicopter crash in the region also killed six Indian air force officials and a civilian on the ground. Thousands of Kashmiris in Pakistan-administered Kashmir have fled their homes, some bailed water out of disused bunkers, while others dug in - determined to see out the latest flare up of hostilities between India and Pakistan. Shelling across the heavily militarised Line of Control which divides Kashmir between the two South Asian countries sent many seeking shelter Wednesday, even before India and Pakistan both claimed they had shot each other’s warplanes down, igniting fears of an all-out conflict. Pakistani officials said four people were killed on Tuesday by shelling from the Indian side of the ceasefire line. The death toll mounts on both sides each time sabre-rattling between India and Pakistan turns into conflict. This time, Kashmiris have watched warplanes fighting overhead and cowered under the shelling. Major General Asif Ghafoor, spokesman for the Pakistan armed forces, said two Indian jets had been shot down after they entered Pakistani airspace while responding to a Pakistani aerial mission on targets in Indian-administered Kashmir. One of the jets crashed on the Indian-administered side of the de facto border in Kashmir, known as the Line of Control, and the other on the Pakistani-administered side. Ghafoor said the Pakistani aircraft had carried out the strikes in response to India’s air strike the day before, but had taken deliberate action to ensure no casualties were caused. He said Pakistani jets had locked on to six targets, in a demonstration of their capacity to hit strategic installations, but deliberately fired into open spaces where there would be no casualties. “This was not a retaliation in true sense, but to tell Pakistan has capability, we can do it, but we want to be responsible, we don’t want an escalation, we don’t want a war,” Ghafoor told a news conference. One of the aircraft fell in Indian-administered Kashmir, while the second came down in Pakistani-administered territory with two pilots captured, he added. Raveesh Kumar, a spokesman for India’s foreign ministry, gave a different account, telling a news briefing that the Pakistan air strikes on military targets had been “foiled”. India shot down one Pakistani plane that landed in Pakistani territory, and that it had lost one of its own planes, not two, with the pilot “missing in action”, Kumar added. “Pakistan has claimed that he is in their custody. We are ascertaining the facts,” Kumar said. The latest incident “puts enormous pressure on the Modi government in India to continue pressing ahead with the cycle of retaliation,” said Pratyush Rao, associate director for India and South Asia at consultancy Control Risks.